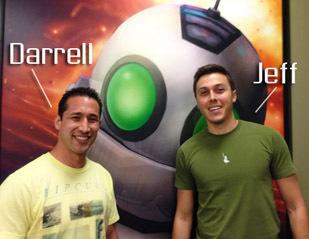 In this last podcast for 2012, we speak with DreamWorks Sr. Animator Tal Shwarzman. We talk about his work on Rise of the Guardians, Kung Fu Panda, his view on the state of the industry, and a lot more. We speak with industry vet. and Animation Director, Darryl Purdy, about his experience and thoughts about animation and his work in video games. He's worked for such studios as Bungie, Lucas Arts, and most recently Ubisoft in Montreal on the game Far Cry. In this, our fifth podcast, we speak with iAnimate alumni Darrell Vasquez, and working professional Jeff Williams. Both guest work currently at Insomniac Games, and give this fun interview a different perspective from some of the past guest, since both have or are also students at iAnimate.net. Join us in this informative & entertaining podcast. Interview with Richard Lico mentioned in the show HERE. Ratchet & Clank: Full Frontal Assult trailer | Fuse trailer. In this our forth podcast, we catch up with DreamWorks animator and iAnimate instructor, Alexis Wanneroy to discuss his recent work on Rise of the Guardians. Alexis was a Character Lead animator on the Toothfairy character.